The sky's the limit when it comes to choosing a large tent or canopy for your special function. BPR has an amazing selection of styles and colors as well as many other party essentials. 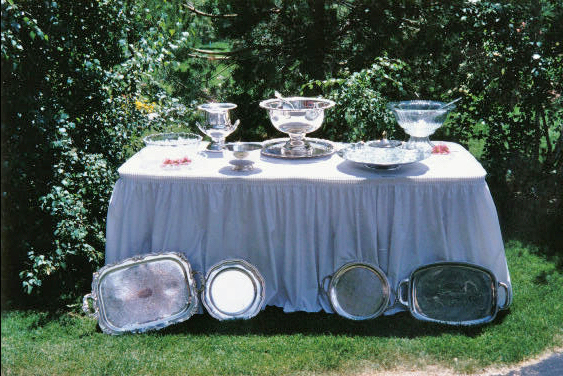 Let us supply your special event with all the essentials. We can set you up to handle groups of several hundred people. 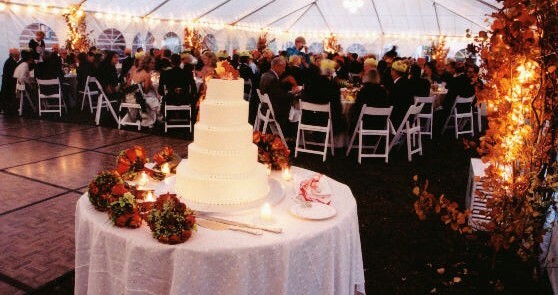 Rest assured that your event will benefit from our more than three decades of experience in wedding and party planning. Select a tent that's right for you and your guests. We have many party tents available, ranging from 10' x 10' to 40' x 100'. They all feature sturdy frames with no interior poles to work around. We use white tents by Serge Ferrari, made from the latest materials that retain heat when it is cold outside and keep you cool during summer temperatures. 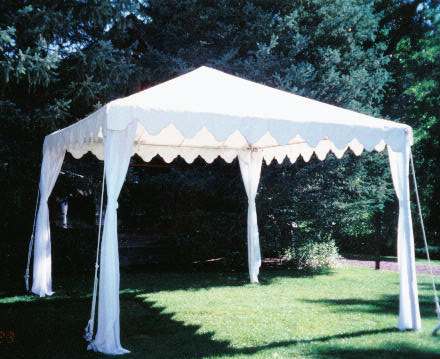 These brilliant white tents are translucent, clean, and airy, with nice scalloped edges. They are simply beautiful for weddings. Let us deliver and assemble tents for weddings and parties anywhere in the Wood River Valley, up to Stanley and Redfish Lake, and south to Silver Creek, Carey, or Fairfield. 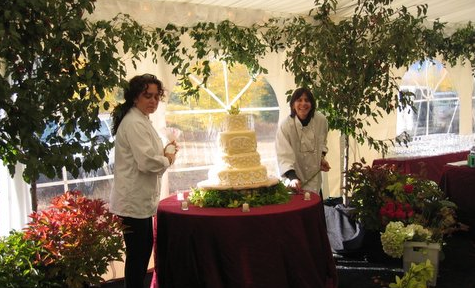 We have the knowledge and experience to ensure a successful party in rain, snow, or sun. As an added feature, we sell beer and wine by the case at 10% over wholesale. Let BPR make your special event successful and fun. Please call us soon for your reservation as we book very quickly in the summer. Our beautiful region is a destination area for weddings and corporate events. Just need a few items? Drop by and rent 50 wine glasses instead of using your own. We offer chairs from $2 to $10 each, as well as other party essentials. Our screened employees are responsible and trustworthy, and we clean everything after each use before it is rented again. We look forward to hearing from you soon.